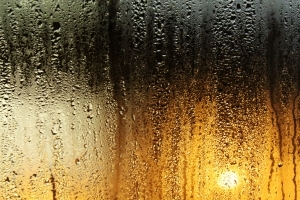 weather comes one of the major problems we experienced in our homes during winter: window condensation. Let’s be honest, it is a problem that we will not be able to get rid of, but we can always put some ideas in practice to try and prevent it as much as possible. –Ventilation. We need to ventilate our homes at least once a day as well as open windows after having a shower/bath or while cooking, as bathroom and kitchen are the “moisture winners” of all the rooms in the house. –Laundry. Try to hang your clothes to dry outside; if this is not possible then open a window while the clothes are drying. –Extractor fan. You can put a fan in the kitchen and bathroom to create more ventilation. –Dehumidifier. This will take excessive moisture from the air (though some people consider it to be quite noisy). –Heating. Put the heating on on this winter season. The hotter the air inside the house, the more moisture it can absorb and the less condensation you will have on your windows. Do you have any other tip to prevent condensation? Let us know! This entry was posted in General, How to... and tagged cleaning tips, cleaning windows, dehumidifier, extractor fan, heating, laundry, moisture, preventing window condensation, window condensation on 31/01/2012 by admin. 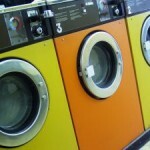 Would you like your clothes to smell nice and fresh as if they have been taken out of a launderette? Put less detergent on your wash and add about half a cup of baking soda. What baking soda does is eliminate detergent residues and re-fresh the clothes, leaving them cleaner and smelling like new! This entry was posted in How to... and tagged baking soda, cleaning tips, Green Cleaning, how to make your laundry smell fresh, laundry, laundry tips, washing on 19/01/2012 by admin. Cleaning your washing machine is as important as doing the weekly laundry and it should become a regular task in every household. 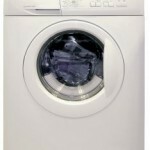 The inside of the washing machine goes through a lot of dirty water, detergent deposits and limescale; every time you wash your clothes there is a build up of residues on the washing machine making it work harder and reducing its ability to perform adequately. 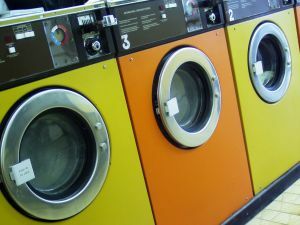 The best option to leave your washing machine ready for hundreds of more washes is to run an empty cycle on hot water along with two cups of white vinegar (to remove lime scale). 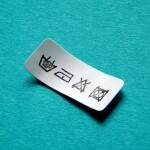 You will also need to remove the detergent dispenser and soak it on hot soapy water. for those hard to reach corners on the dispenser, where mould easily builds up, the best thing to use is a small brush (like one of your old tooth brushes). As a way of preventing any leakage, check the water hoses regularly for any sign of wear. Also, do not forget to clean the door and outside of the washing machine with a soft cloth and a little bit of vinegar with water to leave it sparkling! This entry was posted in How to... and tagged cleaning tips, cleaning washing machine, domestic cleaning, laundry on 07/10/2011 by admin.